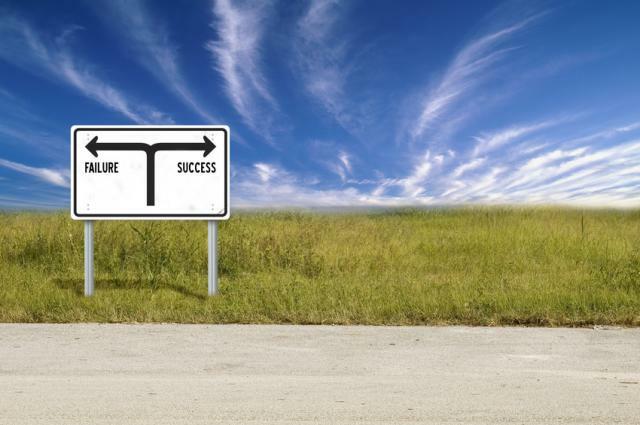 In my first post in this series, I mentioned that we reached out to our customers who are practitioners in the field of quality improvement to better understand how they complete projects, what tools they use, and the challenges and roadblocks they come across in achieving success with quality initiatives. One area quality leaders said they were struggling with was the training aspect of their programs—actually getting their belts and/or project team members up to speed with adequate training to complete projects independently. They told us projects were failing because of insufficient training. But why was their training insufficient? The responses that we were given revealed a couple scenarios. In many smaller companies, only Black Belts are trained in order to keep costs down. They send a small number of individuals away to be trained (maybe as a Black Belt for example), with the expectation that they can come back and sufficiently train all of their colleagues. However, this plan tends to backfire for several different reasons. Because the people tasked with training others spend so much time training, they don’t have enough time to practice what they’ve learned and complete successful project or prove that the methodology actually works. Other times, process owners are preliminarily tasked with leading projects, but they might not have been formally trained yet, so they may not feel confident or have the knowledge to really support the project to completion. Another cause of insufficient training that our customers revealed is that the importance of “learning by doing” is not always explored during the training. Their training might focus too much on the theory of a certain methodology, but trainees never actually bring a real project to training and complete it. Momentum can be lost if trainees don’t ever see the value of a real project. These are just a couple of items to consider when you’re starting your company's training program—perhaps a few traps you can avoid. And while we don’t offer Six Sigma training or specific belt training here at Minitab, we do have several public, remote, and onsite training options available to help you learn our software, as well as extensive Help resources within the software. The top reason customers shared with us about why their projects were failing will likely not come as a big surprise to you. 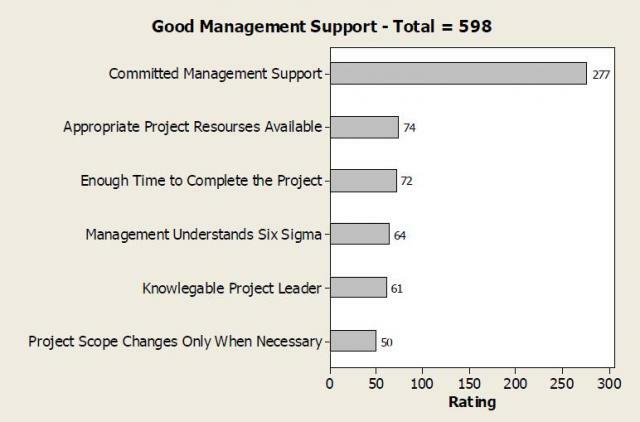 Customers told us their projects were failing mostly because of a lack of management support. The training program can be top-notch, and teams can be working together seamlessly, but if there isn’t management support or buy-in you’re going to have a tough time getting your solutions implemented and being successful with your overall improvement program. People we talked to who said they had good management support spoke of having a lot of moral support from management and that recognition was given for successful projects. Awareness of top management in knowing the various projects being worked on, as well as the fact that top management understood the Six Sigma methodology themselves were also reasons given. For previous posts about how to avoid a Lean Six Sigma project failure, take a look at Avoiding a Lean Six Sigma Project Failure, part 1, Avoiding a Lean Six Sigma Project Failure, part 2, and Avoiding a Lean Six Sigma Project Failure, part 3. We hope understanding some of the barriers mentioned in this series of posts will prevent project failures from happening to you in the future, or perhaps these ideas may help you in fine-tuning and making your current program even better.